Kaydon brings engineering expertise to the design and manufacture of bearing solutions and assemblies for demanding applications. Founded in 1941 as a designer of customer-specific bearings, Kaydon continues to lead the way in custom and pre-engineered bearing solutions for military and commercial applications. 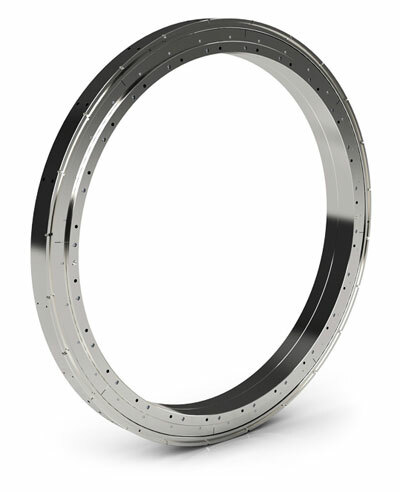 With ball bearings, roller bearings, slewing ring bearings, and turntable bearings ranging from 0.75" to 240" diameter, Kaydon can design a product to meet your most challenging bearing demands. To find out how Kaydon can help solve your bearing challenges, contact us at 800.514.3066 or complete the appropriate data specification sheet for custom bearings or custom slewing ring bearings. 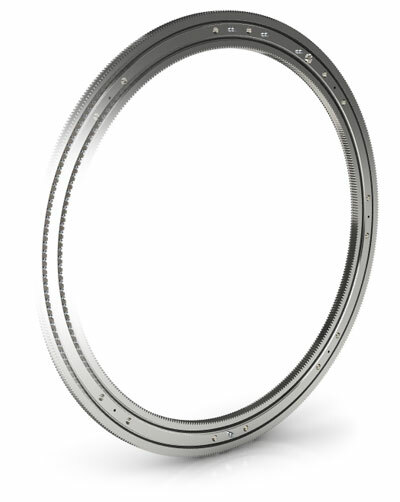 A pre-greased and sealed single row ball bearing with integral axial floating feature. This custom integrated design reduces the number of components, offers high speed capability, and makes assembly into the scanner housing simpler with a threaded outer race incorporated into the bearing assembly. A bolt-on unitized, precision stainless steel double row angular contact ball bearing cassette assembly that is pre-greased and shielded with mounting pilot. In addition to the space and weight savings benefits provided by the Kaydon Reali-Slim® bearings used in this design, additional weight and space savings are achieved by their integration into the flanged bolt-on housing. A compact, double row, four-point ball bearing assembly that is pre-greased and sealed. 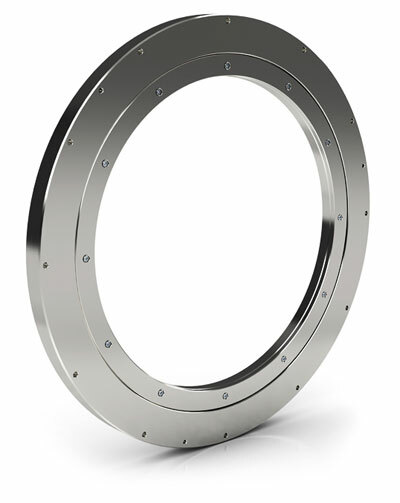 This thin section bearing and housing assembly incorporate integrated mounting holes to simplify assembly. High speed operation along with low noise are added benefits of this custom product. A three ring, two roller complement bearing with two internal gears (one on the inner and one on the outer ring). When combined with precision components, this configuration permits accurate, smooth, independent, and synchronized rotation of the rings and any attached components. Use of a separator increases the bearing's operating speed capability and, combined with low friction seals, permits minimal rotational resistance. This design significantly reduces the number of components needed to perform the same functions.